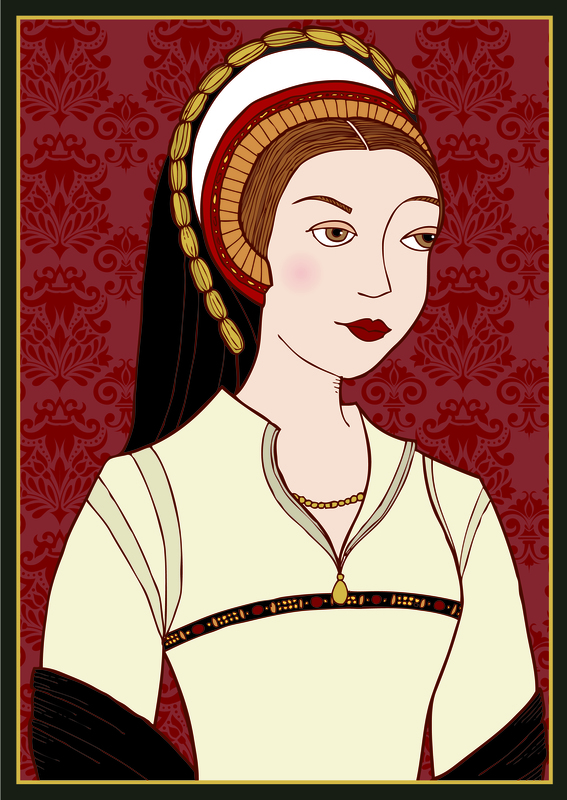 Catherine Howard (1522ish-1542) was the 5th wife of Henry VIII. He liked to call her his “rose without a thorn.” At least, that’s what he called her before he had her head cut off. In her misguided youth, Catherine was said to have had an affair with her music teacher, Henry Mannox and then later with Francis Dereham. It was the latter that led to her execution, Dereham didn’t get off easy either- the King had him hanged, drawn, and quartered. ouch. She also had an affair with one of the King’s favorite’s- Thomas Culpeper. He, too, was tortured in the Tower of London and later beheaded. For a short time, she seemed devoted to Henry (who, by now was close to 300lbs and had to have his ulcer drained daily), but due to spies, power struggles, religious battles and political schemes – several sought to undermine the King and reported the more-than-odvious affairs his young, beautiful wife was having right under his chubby little nose. And although they were married 3 weeks after his annulment to Anne of Cleves, she was beheaded less than 2 years into the relationship. A quick and painful Reign.